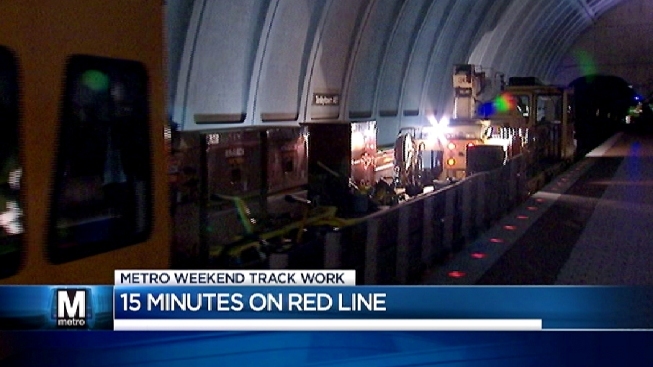 Metro riders will wait longer than usual for trains this weekend. Trains on the Orange, Silver, Blue, Yellow and Green lines will run every 20 minutes rather than every 12. On the Red Line, trains will run every 15 minutes, with extra trains every eight to 10 minutes between Van Ness and NoMa-Gallaudet during daytime hours. The changes begin Friday at 10 p.m. and continue through the system's closing Sunday night.